There are many natural arches on Islay, this is a fairly small one but you can still walk under it. My sister Imke is walking through it here during a walk from Killinallan to Mala Bholsa, the arch is near Gortantaoid. 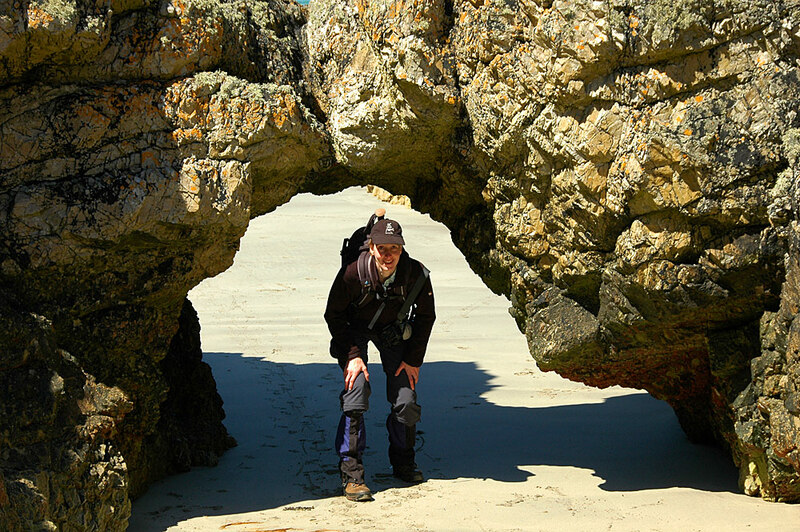 This entry was posted in Beaches, Landscape, Repost, Sunny Weather and tagged Gortantaoid, Islay, natural arch by Armin Grewe. Bookmark the permalink.